With a handmade piece of furniture, whether a side table or a complete kitchen, the pleasure comes from owning something unique. There may be replicas or similar designs but nothing can match the delight of owning handmade, beautiful furniture. One of the best things about commissioning custom-built, handmade furniture is that it can be built to fit those spaces that seem impossible to furnish. Perhaps your home is compact and bijou – you can have a piece made to maximise storage space – a vital component of compact living. 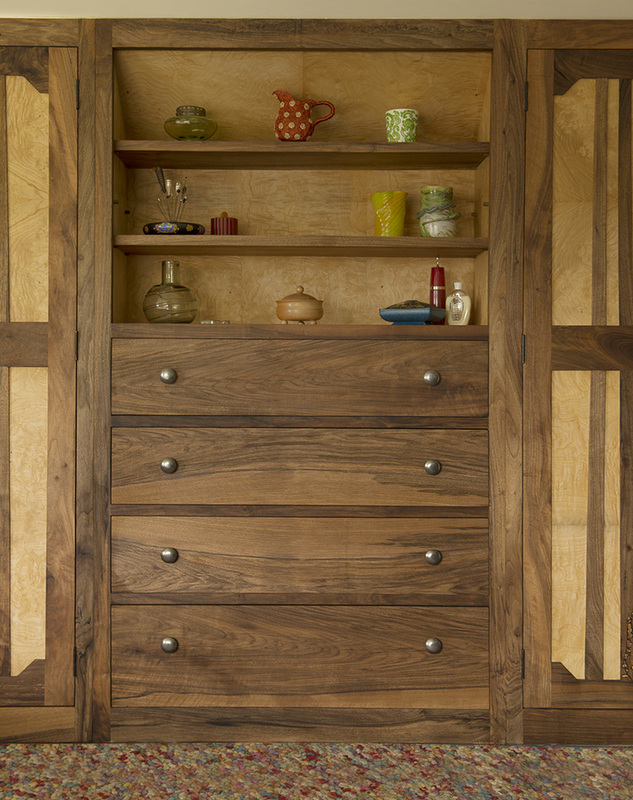 An empty and awkward corner or a unique feature is perfect for homing a made-to-measure cupboard, which can be made to any size and specification. A handmade creation is something you’ll own for decades into the future, or even hand down to your children or grandchildren. With handsome craftsmanship, high-quality materials such as solid wood or strong multilayered ply and laminates, combined with unique design, you can be sure that your handmade furniture will be treasured for generations to come. Custom handmade furniture is the perfect way to express your personality in your home. By knowing what you want and love, together we can create a piece that will make your home truly unique. Measure the area accurately where you want to fit the piece. Do some research to refine the styles and designs you like and think about the materials you’ll want to use. Keep webpage printouts, magazine cut-outs or drawings to show us. Carefully mull over your selected design/materials to ensure you are confident in your chosen design. Let us create your bespoke, handmade piece. If you’re very specific about what you want from the piece, and you want the pleasure of owning an item that is as unique as you are then a custom-designed, handmade piece of furniture is most definitely for you. With handmade furniture, not only do you get a handsome piece that fits perfectly and lasts for decades, but you get something that is as individual and unique as you are.